by Anne Willan, Reader’s Digest Press, first printing, 1997. Oversize hardback with color photo DJ. Tops. Profusely illustrated with color photographs. This is essentially a selected recipe general cookbook by the much-acclaimed English author of many excellent books on French cooking and the founder of La Varenne Cooking School. Willan, years before the folks at Cooks Illustrated, began to publish books that showed photos of dishes in perfect and not so perfect versions, and explained how to get it right. 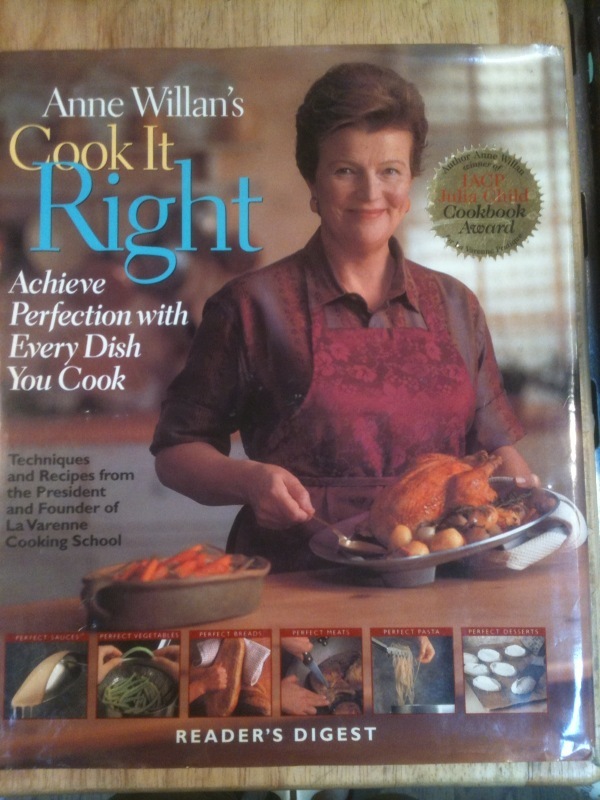 An IACP Julia Child Cookbook Award winner. DJ shows a bit of shelf wear. VG+/VG.